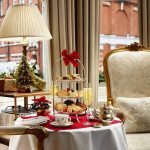 Afternoon Tea at the Egerton House Hotel is a must for those seeking a luxurious dining experience in beautiful and elegant surrounds in the heart of London’s upmarket Knightsbridge. 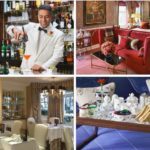 The 5-star Egerton House is one of London’s finest boutique hotels offering a warm, friendly welcome. Its exquisite decor and style reflects a homely residence. 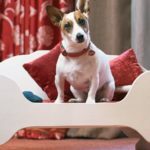 What’s more, a dog friendly hotel, you can bring your four legged friend with you to afternoon tea. They even have a Doggy Afternoon Tea Menu. 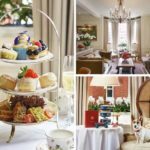 Afternoon tea at the Egerton House hotel, which was recently commended at the 2017 Afternoon Tea Awards, is served in the elegant Drawing Room. 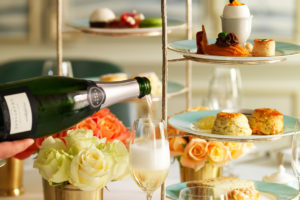 Served on tiered cake stands, this exquisite afternoon tea offers a delicious selection of delicate finger sandwiches, sweet pastries and mouthwatering cakes along with traditional, freshly baked scones served with fruit preserves and Cornish clotted cream. Your afternoon tea is accompanied by a superb selection of loose leaf and flowering teas, herbal infusions or freshly brewed coffee. A chilled glass of champagne will add an extra sparkle to the occasion. The hotel also has a very popular children’s afternoon tea, a “Teddy Bear’s Picnic with Edwin”. 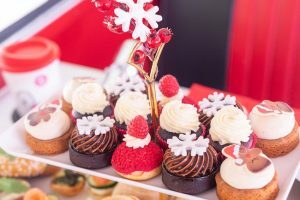 Carefully created for children under the age of 12 the chefs have prepared a selection of sandwiches and sweet treats designed for a younger palate. Children can tuck into a selection of seasonal sandwiches with popular fillings, freshly baked scones with jam and Devonshire clotted cream. A toffee caramel cupcake coated with cream, chocolate orange brownie and blackberry macarons are enthusiastically devoured and deliciously washed down with a hot chocolate drink. 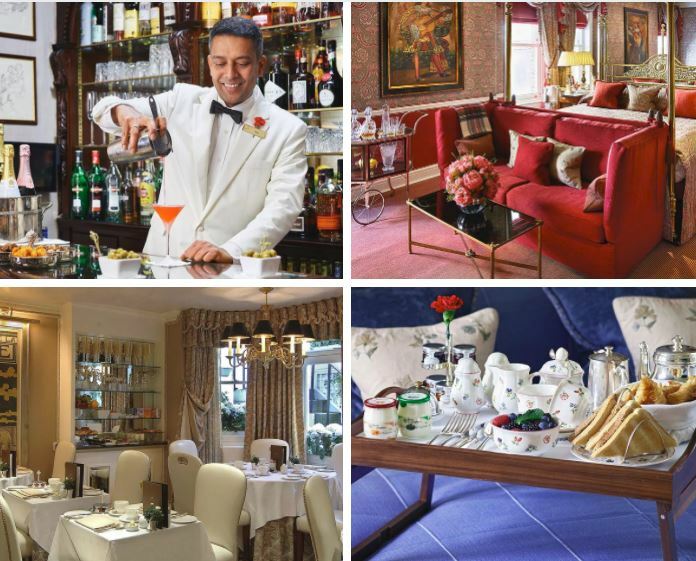 Explore afternoon tea at The Egerton House Hotel. 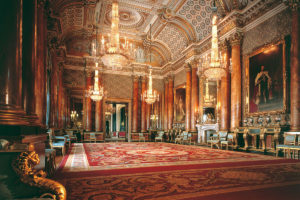 Situated conveniently close to major attractions such as The V&A Museum, Natural History and Science Museums and The Royal Albert Hall, not to mention the stylish and upmarket shops in Knightsbridge, the Egerton House Hotel is the perfect location for sightseeing, luxury shopping and exploring London. The hotel consists of two adjoining Victorian houses, resplendently refurbished and boasting exquisite, individually styled bedrooms and studio suites. Interconnecting rooms are available for families with small children. The hotel can provide baby cots and linen along with intercoms. Children are very well catered for with special children’s menus, entertainment packs with games, books and colouring pens. Children even have their own mini bathrobe and slippers and a cuddly Edwin teddy bear and London activity book. If you would like to slip away for a few hours on your own or need an extra helping pair of hands, Egerton House work closely with The Hotel Nanny, a premium nanny service in the UK who can provide a bespoke service tailored to your individual requirements. Pets are special VIPs and receive first-class hospitality. 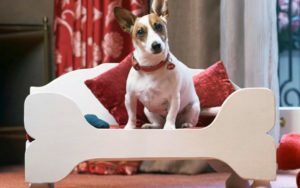 When making your reservation, simply complete the hotel’s pet preference form and the Pet Concierge will be delighted to arrange food and water bowls, a turndown pet treat, embroidered pet towel, toys and treats, special pet menus, a grooming service and a dog sitting and walking service. Renowned for its outstanding culinary reputation, the Egerton House Hotel offers a mouth-watering dining menu and can cater for you within its bar and lounge area. Guests are also welcome to dine in-room. Look out for their 24 hour breakfast menu which is a popular choice amongst business travellers and overseas visitors ensuring they don’t miss out on the most important meal of the day. The Egerton bar has become one of London’s hidden gems. With a deliciously stocked bar head barman, Esley Gunaratne, has perfected the art of cocktail making and his Martini’s are amongst the best in the city – never shaken, never stirred, simply perfect. Did you know, it’s always cheaper when you book direct? In addition to getting the best deal when you book direct, be sure to check out the hotel’s Special Offers which are updated throughout the year. Current offers include 3 nights for the price of 2, 4 nights for the price of 3, Wimbledon accommodation packages, a Harrods shopping voucher offer, an exclusive V&A offer and much more. You can always treat someone to a gift voucher for an experience to remember. Top Tip: When you book direct, you’ll receive a £50 dining credit, free wifi and early check-in/late check-out (subject to availability). 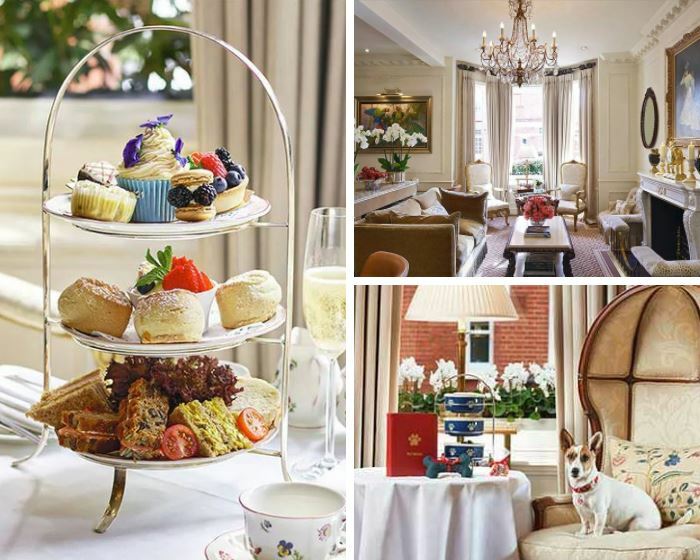 To book afternoon tea at the Egerton House Hotel, select the Book Now button below and treat yourself to a delicious dining experience.